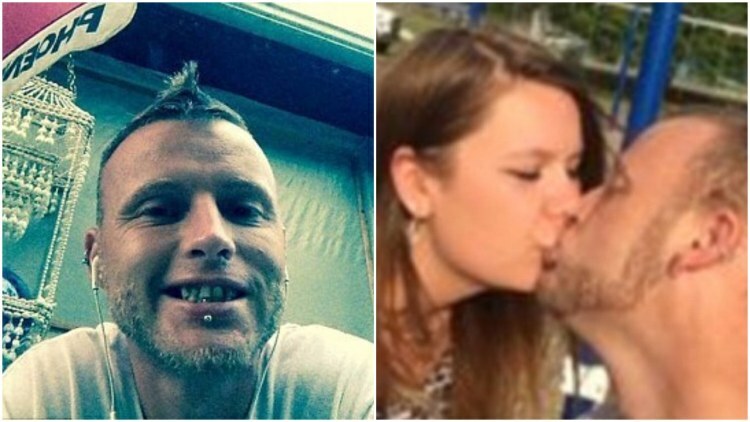 Well believe it or not a petition is now calling for the public hanging death of the West Virginia man who supposedly raped and beat to death his girlfriend’s 10 month-old baby girl and what’s interesting is that people are actually signing it. Benjamin R. Taylor, 32, of Cottageville, faces a life sentence on charges of murder and sexual assault of his girlfriend’s 10 month-old Emmaleigh Barringer. West Virginia actually abolished any allowance of a public hanging decades ago, but apparently this crime has angered the public so much, that they are demanding he hang for his crime. In order for this demand to at least be presented in Washington, a petition had to be drawn up and signed. ‘Prison is too good for child rapists and their ilk,’ says one comment on the petition We The People, which will lead to a response from an official from the Obama Administration if it gets 100,000 signatures in 30 days. The girl’s mother, Amanda Leigh Adkins, had woken up in the middle of the night to check her Em. She went down into the basement and found her baby girl laying on the floor, covered in blood. She had been raped and beaten. Emmaleigh sustained extensive bleeding indicating a savage sexual assault, according to a criminal complaint. She also had marks and signs that indicted that she had been hit in the face and suffered from baby shaken syndrome. Even though the little girl lived through the ordeal, doctors later declared her brain dead at the hospital. Adkins held her baby Emmaleigh close to her, as the infant took her last breath Wednesday. The petition calling for Taylor’s hanging, which had nearly 32,000 signatures as or Friday morning, asks the White House to enact Congress to move upon the law to deal with Taylor. Emmaleigh’s heartbroken relatives say Taylor appeared in the skin of a ‘Prince Charming’ who swept the baby’s mom off her feet. ‘She was so lit up inside — he wanted to do things with her, he hung out with the kids,’ said Danielle Adkins, a cousin to the grieving Mother.